Cash advance merchant AFN knew it needed to improve its organic search rankings in order to drive traffic to its website. The Great Online increased backlinks to AFN’s site by 680 percent and placed five of AFN’s top keywords on page one of Google’s search engine. The increased online traffic brought additional leads to AFN, helping them increase business by more than 50 percent from the same time period the previous year. Since 2008, The Great Online, formerly ReignNet, helps businesses “get found” online. 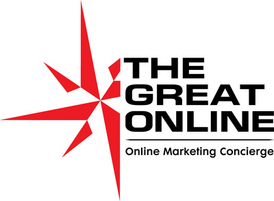 The Great Online provides online marketing packages designed to help businesses dramatically increase their lead generation, build credibility through better online content and improve online visibility to reach a larger base of potential customers. An “online marketing concierge,” The Great Online makes it affordable for businesses to outsource their online marketing services including search engine optimization, social media marketing, e-mail marketing, pay-per-click advertising, online directory management, website development, and public relations. Learn more by calling 888-360-4535 or visiting www.thegreatonline.com.